Pokemon Crossroads is currently recruiting staff writers to post articles on our website. 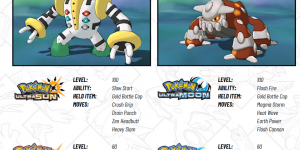 If you are a Pokemon fan and might be interested, please read the position descriptions below. One or more people are required to write reviews on Pokemon fanfiction and post them on the website. One review/article every 2 weeks is required, but writing more often is also welcome. The individual who takes up this position should enjoy reading Pokemon fanfiction and probably has already read enough fanfiction to be able to prepare some reviews easily. There is flexibility in how this column may be run, either be featuring one story per article or multiple stories, whatever the writer prefers. One person is required to report on new Pokemon merchandise being released in Japan or around the world, with a primary focus on items being released in Pokemon Centers in Japan and on PokemonCenter.com. A new article should be posted when new merchandise is announced, with an image of the merchandise, and details on availability and pricing. This is a great position for anyone who likes to keep up with Pokemon merchandise releases. One person is required to write opinion pieces on Pokemon merchandise. 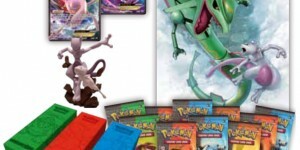 The merchandise should be a wide range of things from plush toys to books, cards etc., but should also include currently-available merchandise as well as older things. A review article should be posted every 2 weeks, but writing more often is also welcome. Perfect for anyone who enjoys collecting Pokemon merchandise! One or more people are required to write ongoing, regular columns on any topic of your choosing (relating to Pokemon). At the least, we require a new article each month, but writing more often is a bonus. Feel free to discuss your ideas with our editors. One or more people are required to write articles on any Pokemon-related topic. These can include opinion pieces or rants, reviews, news updates, featuring videos/artwork or cool things from around the fandom, reporting on events etc. You are encouraged to find your own things to write about, but articles will also be available for you to write up. This is perfect for anyone who is interested in gaining experience writing for a website and enjoys the Pokemon fandom. If you are interested in any of these positions or would like more information, please contact [email protected] and let us know which position you are interested in. If your application is successful, full training in using WordPress will be provided, as well as ongoing support from our staff team. We look forward to working with you to help make Pokemon Crossroads a true hub for the Pokemon fandom!